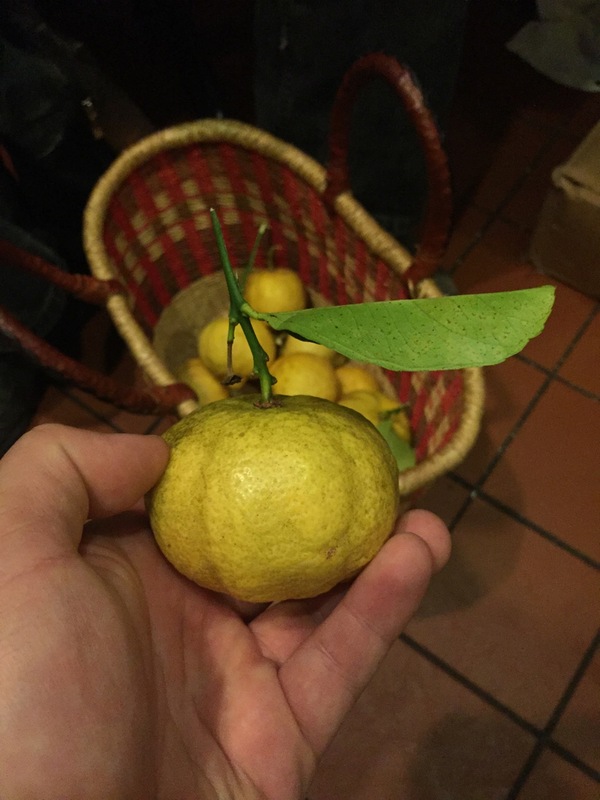 Joel harvested this interesting citrus from an abandoned homestead on the Big Sur South Coast. I really want to include these in our heirloom fruit tree library- they have a pale green color, almost white, with a structure similar to a mandarin and intense bergamot aroma. They are not nearly as sour or bitter as a bergamot and are wonderful eaten fresh off the tree.